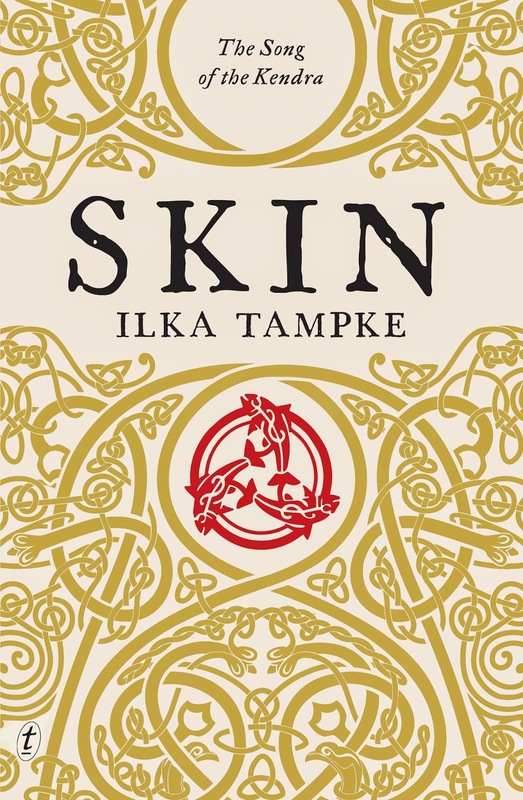 'Skin' by Ilka Tampke is going down as one of my favourite books of 2015 – a gripping historical fantasy novel set in Iron Age Britain, when the people of Caer Cad find themselves on the cusp of invasion by Emperor Claudius’ Roman army – and one woman called Ailia finds herself torn between two men, and setting out on a journey she never thought she could travel. Actually neither. I submitted a few pages of my early manuscript as part of an application for a Glenfern Fellowship in Melbourne. One of the judges was an editor at Text Publishing, and she followed up with a request to see a bit more. It was a great lesson to me to go for as many competitions and residencies I can, because it gets your work under editors’ noses. Q: How long did it take you to write ‘Skin', from first idea to final manuscript? Almost exactly 5 years. But there were big gaps where I did other work. Q: 'Skin' is set during Iron-Age Britain and you really transport readers there. Exactly how much research did you do for this setting - and was a trip to England part of it? 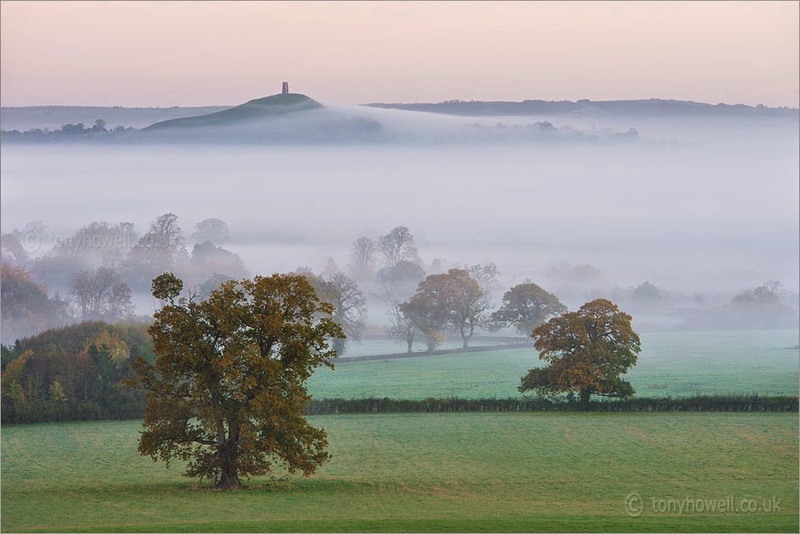 It began with a trip I took to the southwest of England several years ago, where I fell in love with the mystical world of ancient Britain. 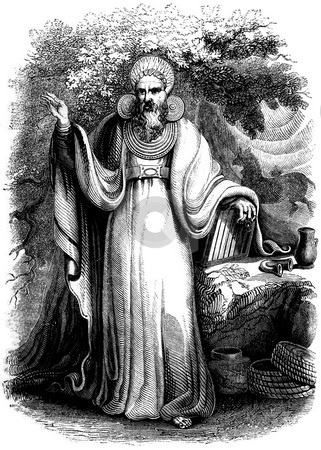 Once the novel was underway, I read extensively among the work of archaeologists, historians and scholars of druidism and paganism. 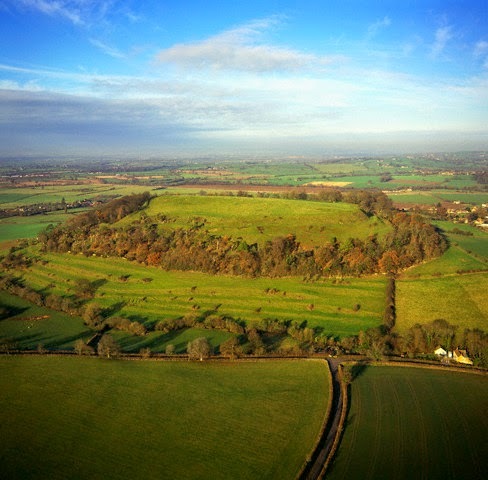 In the book’s final stages I went back to England, to walk the site of the township in which ‘Skin’ is set, and see the recreated Iron Age villages that are peppered throughout the UK. It was so wonderful to walk into the actual environments, and breath the atmosphere of the world I had been imagining for so long. 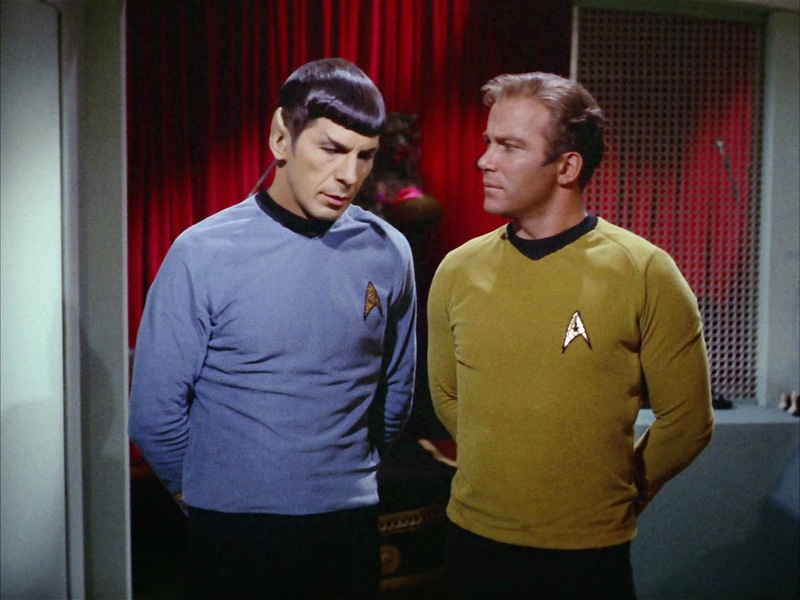 Mostly they start as fragments of dialogue or interactions between characters that flash through my mind. I’ve learned to trust these intuitive impulses, as my subconscious imagination is far smarter than my conscious mind. I also find the historical research very fruitful and generative of ideas. I might read about an excavation of an Iron Age burial pit and imagine my character being part of that ritual, placing those grave objects in beside her loved one. The sequel to Skin. It will take the reader more deeply into the fight for Britain to hold onto what is most precious in its culture, and delves into the fascinating stories of the real life British freedom-fighters. Eva Hornung, Dorothy Porter, James Cowan, Margo Lanagan, Ursula Le Guin, Helen Garner, Jeanette Winterson, Truman Capote. Monkey Grip by Helen Garner. The Daylight Gate by Jeanette Winterson. Tombs of Atuan by Ursula Le Guin. Two things. Firstly: apply for everything that you can: competitions, residencies, fellowships, grants. I think it’s the best way to start building a profile and make people aware of your work. 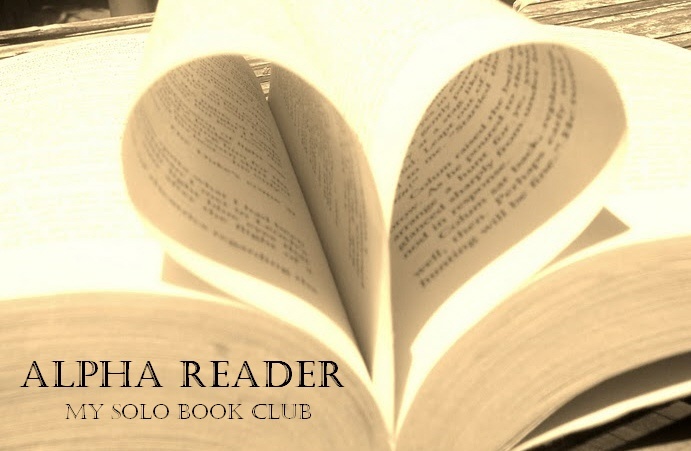 Be part of the writers’ community and opportunities will present themselves. Secondly: finish your work. The very best writers I know are not published because they won’t finish their novels. Or even a short story! Your finished novel may get published. Your unfinished one never will. ‘Skin’ is the debut historical fiction/fantasy novel from Australian author (and member of my wonderful writer’s group) Ilka Tampke. 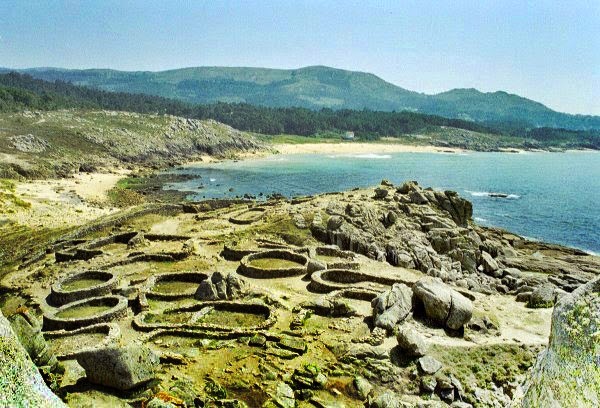 The book is set in AD 43 (Iron Age Britain), and our narrator is ‘skinless’ Ailia of Cad who was found by Cookmother on the doorstep of the Tribequeen. She is raised in the kitchens, and taught the art of healing by Cookmother, but still Ailia longs for what she cannot have and will not be without skin – a journeywoman. Born to the skinless, or lost to their families before naming, the unskinned were not claimed by a totem. Their souls were fragmented, unbound to the Singing. If they remained little seen, they were not despised, not usually harmed. The townspeople gave them enough grain, cloaks and work, if they would do it. But they could not live within the town walls because no one could be sure of who they were. I quickened my pace and Neha trotted beside me. Skin was gifted from mother to child by a song. I had no mother. I had no skin. But I had been spared. Just. The journeymen and women started to sing down the songs of our tribe in powerful harmony. I could sense the expectation in the gathering, the pulsing of hearts and the coursing of blood. This ritual was part of our story, part of our truth, but the terribleness of it was never forgotten. From there I could barely pull myself away from the book and Ailia’s journey. 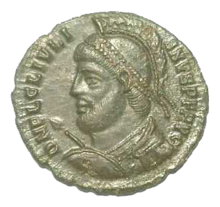 Tampke transports readers to an incredible moment in history, to Iron Age Britain when ‘the tendrils of Roman ways had touched Caer Cad’ and Emperor Claudius’s Roman army are preparing to invade. It is a time of druids and tribelands, a reach back into a very real time that Tampke recreates so viscerally with language and these characters. Isobelle Carmody provides an endorsement quote for the book, which is so fitting because I would recommend ‘Skin’ to anyone who enjoys the ‘Obernewtyn Chronicles’ – for both author’s rich language and world-building, but especially the incredible journeys of their female heroes. While reading I also thought of Margo Lanagan’s short stories and dark fantasy tales, and Melina Marchetta’s ‘Lumatere Chronicles’ fantasy series. Because there is a touch of magic woven throughout ‘Skin’, which works seamlessly with the mystery of the Iron Age – Ailia’s unexpected powers, Taliesin’s mysticism and transformation – and always, the ‘journeypeople’ druids, their religion and sacrificial ways. Indeed, while ‘Skin’ is an adult novel, I found that there’s a lot here young adult readers will love too. There is romance and brutality, but it’s nothing young readers haven’t read before or will be shocked by in the context of history and fantasy. I loved this book, and our hero Ailia. Tampke carries readers to a most remarkable time of the Iron Age – when druids were revered and the tribal lands of Britain were about to be changed forever, when Skin was everything and magic seemed inevitable. Ilka Tampke's book is already creating buzz in Australia and overseas, and for good reason - we’ve just welcomed a remarkable new voice in Australian literature, and I can’t wait to read what she comes up with next. The sequel to Every Breath and Every Word. 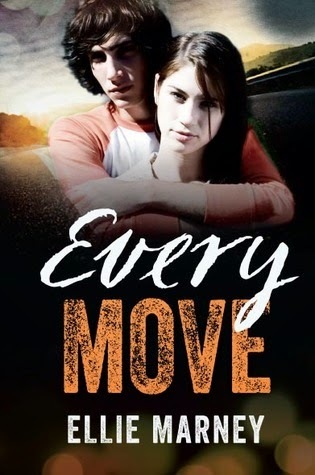 ‘Every Move’ is the third and final book in Ellie Marney’s ‘Every’ mystery YA series. I didn’t want to read this book – not because I wasn’t excited for it, and I certainly wanted to catch up with James Mycroft again … No, I didn’t want to read this book because I knew it was the last we’d be reading of Mycroft and Rachel Watts, and I didn’t want their adventures to end. But, it was Arthur Conan Doyle who wrote; 'What object is served by this circle of misery and violence and fear? It must tend to some end, or else our universe is ruled by chance, which is unthinkable.' And I suppose after all that Mycroft and Watts have been through in this series, they deserve a rest now, huh? Certainly, ‘Every Move’ is set deep in the aftermath of second book ‘Every Word’, and the horrifying London events that see Watts and Mycroft now distant and uncommunicative. Rachel in particular is suffering post-traumatic stress disorder (PTSD) in the form of nightmares, sleepless nights and a new, frightening awareness of the world around her and the danger she and Mycroft have found themselves in. Adding to Rachel’s woes are the fallout from her London trip with her family – her mother in particular is expressing her fear for Rachel’s safety through anger and hurt, not entirely without justification … but it’s taken so much of a toll on Rachel, that her brother Mike drives them out of the city and back to their country home in Five Mile for a reprieve. It is while home in Five Mile that Rachel and Mike catch up with one of his old friends, one Harris Derwent whom Rachel describes as; ‘sun-bleached, Driza-Bone-wearing, dickhead, tearaway.’ Harris wants to follow in the Watts’ footsteps and get out of Five Mile, so Mike offers him a lift into the city and their spare couch to crash on, much to Rachel’s dismay. Meanwhile, Mycroft is following new leads, based on evidence gathered while in London – these threads will take him dangerously close to finding out who killed his parents, and why – but at what cost to him and Rachel? I’ve got to say, this book is high-adrenaline and high-emotion. There’s a lot that needs hashing out – particularly between Watts and Mycroft, Rachel and her family – and while no stone is left unturned, Marney isn’t afraid to break reader’s hearts and leave them gasping with every page-turn. I don’t feel like I can say a hell of a lot about the nuts and bolts of the story, except the pacing is exquisite and the whodunit marvellous … the end will leave your heart racing and mind reeling. But onto the really good stuff that drove this series – the characters – and I’m thrilled to say that Watts and Mycroft don’t disappoint. The characters we first met back in 2013 feel like they’ve come full-circle in this finale, and Marney really does give them room to shine and reflect on their past adventures and ramifications of those adventures. I particularly appreciated that Rachel is given time to grapple with her PTSD following the events of London, and Marney really does explore it with infinite patience and compassion. ‘Covalent bonds are a type of molecular bond formed by the sharing of a pair of electrons between adjacent atoms,’ I recite. Mycroft is close enough now that I can feel the warmth of him through his white shirt. He slips one of his hands into one of mine, and holds our joined hands high. Our fingers twine together, and some of the heat in his palm radiates out into my body. My stomach starts to do gravity-defying things again, and my cheeks flame. ‘Dispersion forces. Uh-huh.’ My heart is hammering. And while this was an end, there was one new addition to ‘Every Move’ that bought a surprising freshness to the finale – in the form of new character Harris Derwent. He’s a tough bloke on the outside, but with an all-too believable back-story that had me thoroughly in his corner. And while he is coming to this series literally at the eleventh hour, I couldn’t help but feel like we haven’t seen the last of him either … at least I hope so. I’ve loved this series from the start, and I’m so happy to see that it’s gone on to enjoy great success overseas. It introduced us to a fantastic new voice in Aussie YA, and even though I’m sad to see the last of Watts and (especially that delicious) Mycroft, I can’t wait to see what else Ellie Marney has in store for us. While this series started out as the perfect read for fans of Conan Doyle’s Sherlock Holmes, it quickly became a must-read in its own right as a gutsy and exhilarating crime-thriller for readers young and old. 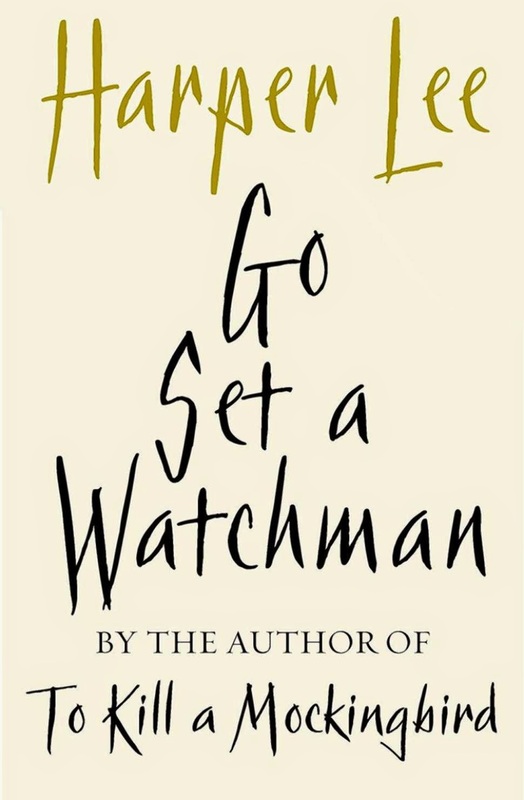 Is concern for Harper Lee's mental health ageist? If you're here it's most likely because you're part of the 'Digital Contexts - the Reader Perspective' talk over at RMIT and you're looking for some additional resources and info on people/books/sites that may be of interest. For everyone else - this is a temporary break in my regularly scheduled blogging. Don't mind us, we're just talking Writing Digital Content up in here like it ain't no thang. o Twitter account – @emilynussbaum – she live-Tweets her reactions to the shows she’s watching … interesting to then go read her New Yorker column, and see those initial 140-characer thoughts expanded into quite amazing cultural critiques. o Twitter account – @clementine_ford – she writes on a range of predominantly feminist topics, and her columns are often inspired by what she encounters in the digital space. Take, for instance, a hashtag she started #QuestionsForMen – a Twitter conversation that morphed into an examination of the ways women continue to be harassed and marginalised, both in everyday exchanges and wider, systemic issues. · Josephine Rowe - Australian writer of short fiction, poetry and essays. o Twitter account – @josephinerowe – Once upon a time I would have included @tejucole here as someone who wrote Twitter poetry, but he’s been on hiatus since July 2014. Check out Josephine Rowe instead – a wonderful example of an author using Twitter to showcase her art. o Twitter account – @johngreen – Whatever you think about him and his writing in general, he is the undisputed king of authors on social media … to the point where most agents/publishers are holding him up as an example to all other authors of what they can do with their social media presence and to build their "brand". He and his brother Hank started the Vlogbrothers YouTube channel together, and now have over two million ‘Nerdfighter’ followers. The brothers’ popularity reached fever pitch in 2013, when they sold out Carnegie Hall. · Zoe Sugg - British beauty vlogger, author, and internet personality. o Twitter account – @ZozeeBo - she has over 2 million followers on Twitter and was given a young adult book deal, the result of which went on to outsell JK Rowling upon release. The book has since been through a 'ghostwriter' controversy, but she's an example of someone coming into publishing because they have an established brand and social media readership - expect to see a lot more of this in the future. · The Writer’s Room – Novelist Charlotte Wood's bimonthly digital magazine. Each issue she interviews an established writer about the hows & whys of their writing practice. 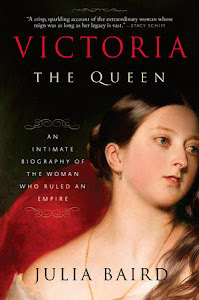 · My book club landed a publishing deal - this article appeared on Daily Life today. Very clever bit of book marketing, an excellent example of author self-promotion. · No Baggage or False Freedoms? : On Anonymous Book Reviews - Wheeler Centre article on legitimate news outlet, The Saturday Paper, adopting an aspect of book reviewing that book bloggers had long been practicing. · http://www.writerscentre.com.au/community/best-australian-blogs-comp/ - Best Australian Blogs. Each year the Australian Writers’ Centre gathers a shortlist of best blogs in various categories – it’s always a good place to check out some new and innovative online writing. 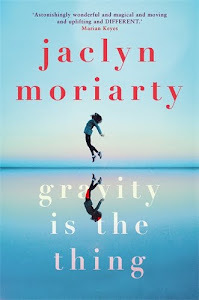 · https://www.netgalley.com/ - booksellers, media, librarians, educators, reviewers and bloggers use NetGalley to discover, read and review new books before they are published. · http://www.chartcollective.org/ - Chart Collective is a not-for-profit publishing venture concerned with exploring the ways our stories are woven into our environments and places. · http://www.thewritersbloc.net/ – A publishing alternative for writers. · http://jocasewrites.com/blog/ - blog of Jo Case, senior writer/editor at the Wheeler Centre and former books editor at the Big Issue. 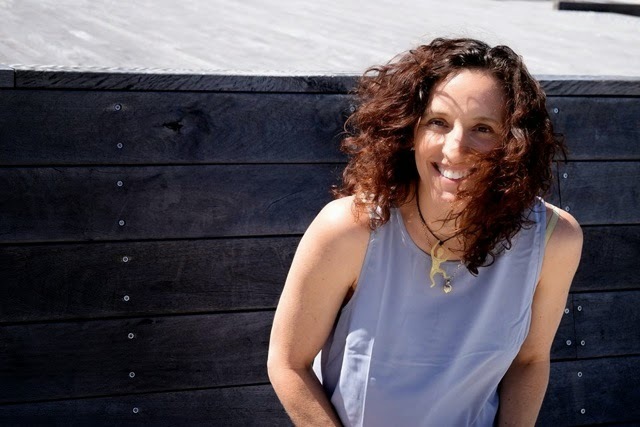 · http://literaryminded.com.au/ - blog of Angela Meyer; writer, editor, professional reader, recently appointed commissioning editor at The Five Mile Press. · http://www.bookexpoamerica.com/BEA-Conferences/BEA-Bloggers-Conference/#page=BEA-Bloggers-Conference - The BEA (Book Expo America) Bloggers Conference. To give you some idea of how bloggers have become such a part of the publishing infrastructure. Remember, BEA is the #1 book and author event in North American. 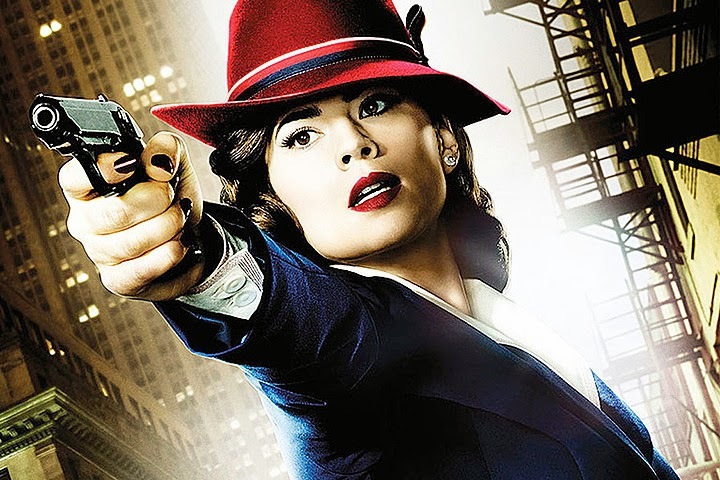 The future of female-led superhero franchises should not come down to whether or not Agent Carter succeeds commercially, or how successfully Peggy battles sexism in her workplace (leave that to Peggy Olson). Erin Gough writes lightning on the page - her words leaving a resounding thunderclap in the heart! 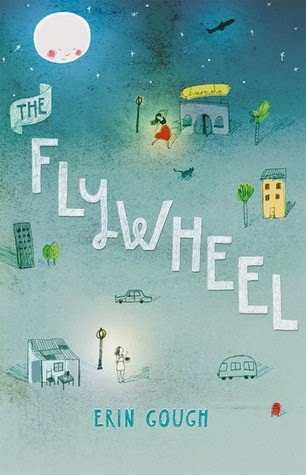 I wished so hard for The Flywheel to be a real place, so I could go there and knock back caramel milkshakes with Del and Charlie while we waited for the Flamenco Hour. This reads like progress in Aussie YA diversity, a move away from coming-out stories to explorations of the perils and pleasures that come when you are finally true to yourself, but still dealing with the small-minds of others. I do think that the Australian youth literature community will embrace this tender-true story of girl meets girl, falling in love and finding your feet. I eagerly anticipate Gough’s next novel. My freelance writing is normally about youth literature, pop-culture, and how these topics sometimes intersect with feminism. Today, Daily Life has published a piece of mine that hits a little closer to home. 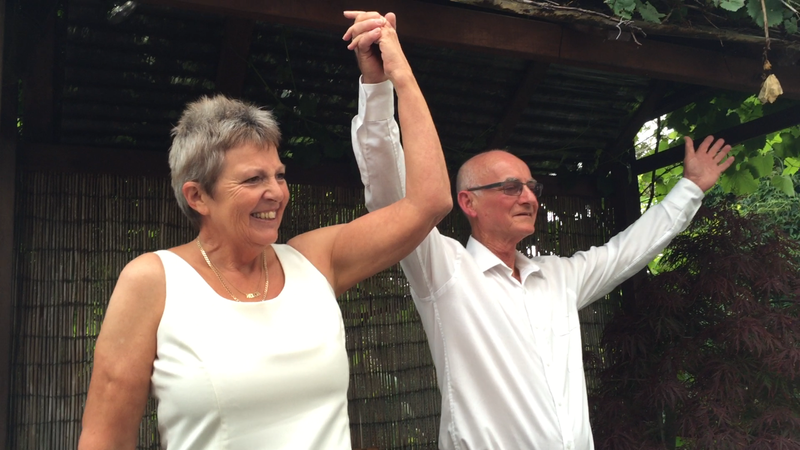 With much love to my aunt and uncle. For the Forest of a Bird is the new young adult novel from Australian author, Sue Saliba. 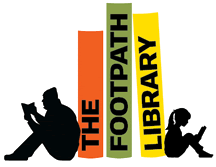 Nella is fifteen and lives in North Fitzroy ‘with its asphalt footpaths and bluestone gutters.’ Ever since her parents divorced, her mother has ‘shrunk smaller and smaller,’ while Nella and her brother Matthew have struggled to cope in their father’s absence. ‘I must be braver,’ she said. And she stepped away from the bedroom door and thought again of her father. It wasn’t just a sense of safety she felt when she was with him, it wasn’t just a sense of protection. He made her feel brave, that was it. He made her feel courageous. She was like a bird who could take on the stormiest of winds, could soar in the wildest of skies because she knew he was with her, because she knew he would never let her fall. Sue Saliba is a YA author unlike any other writing today. Her novels play with language and form in such a beautiful way, as anyone who read her 2011 novel Alaska will know. For the Forest of a Bird is told in third-person but still reads like a stream of consciousness, granting readers a tenderly honest portrayal of Nella’s life and private worries. We learn that her mother is mentally ill, and struggles with her illness go some ways to explaining her parent’s divorce – there were issues with her mother not taking medication, police had been called in the past and she’d been in hospital. Her brother Matthew seems to know more about the divorce, and the idea of their father confiding in him over her adds to Nella’s woes. When Nella travels to Phillip Island, where her father moved after he left (and where author Sue Saliba lives) she discovers the new life he has carved for himself. This aspect of the book reminded me of a beloved John Steinbeck quote; ‘When a child first catches adults out…’ as Nella is forced to confront everything she thought she always knew about her family. Nella had read that the last of the bandicoots had disappeared from the island years earlier. It made her think of her home in Melbourne, of the cobblestone laneways of North Fitzroy and the thistled banks of the creek where she had sensed the presence of long-gone platypuses, of eagles and owls and the strangest of butterflies, disappearing before they could be named. Everybody should discover Sue Saliba. 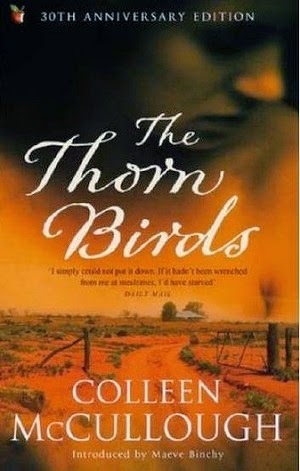 Her novels are such special things – they make you think differently and laterally about language and form, her young characters deal with such heavy emotions but are lightened by their connection to nature and family. 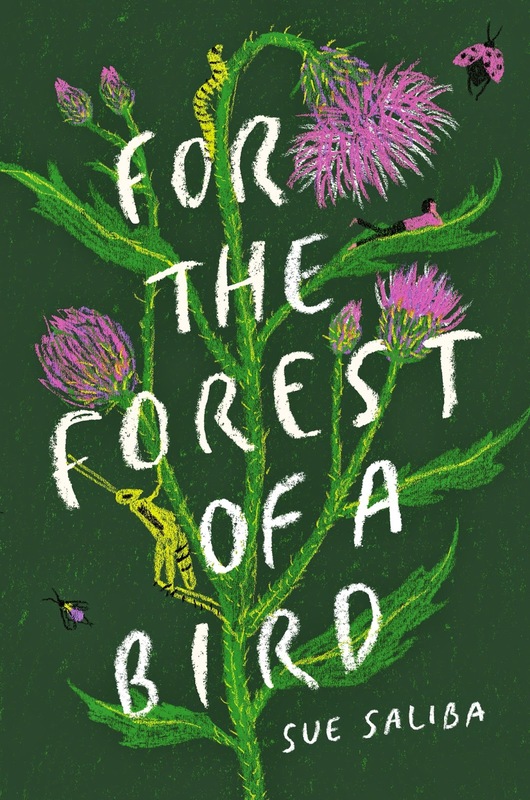 For the Forest of a Bird is another beautiful outing by this superb Australian author – I loved it, and ate up the words in one afternoon. . When will we write an obituary for literary sexism? I wrote this article for Daily Life, about about Colleen McCullough, romance novels and literary sexism. When Alice Love surfaces from a strange dream to find she's been injured in a gym, her first concern is for her unborn baby. She's desperate to see her husband, Nick, who she knows will be worried about her. But Alice isn't pregnant. And Nick isn't exactly rushing to her bedside. She is a mother of three going through a bitter divorce. Alice has lost ten years of her life - and she wants them back. 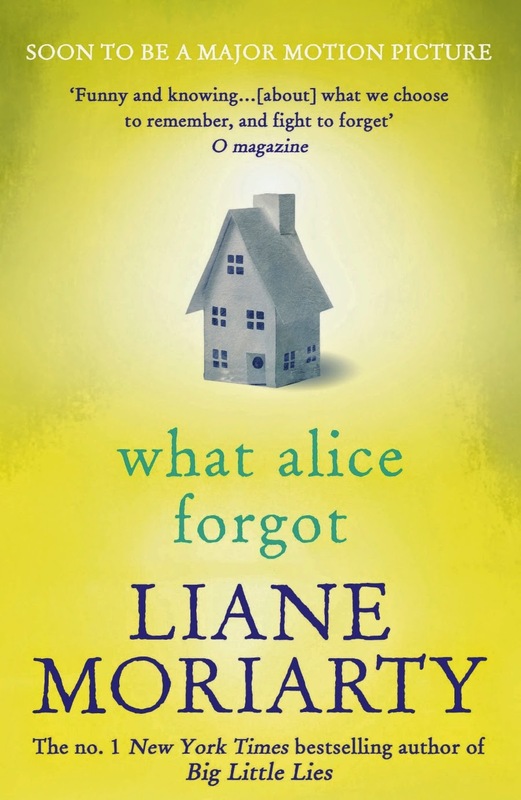 ‘What Alice Forgot’ was the 2009 novel from Australian author Liane Moriarty. The first Liane Moriarty book I read was 'The Hypnotist's Love Story' in 2011, which I absolutely adored. I had always meant to go and read her backlist after that, but then in 2013 'The Husband's Secret' was released and quickly after that 'BigLittle Lies' cemented Moriarty’s newfound place on the NYT-bestseller list and heralded her as a fantastic new Aussie author export. At some point I decided to save up her three older books – ‘Three Wishes,’ ‘The Last Anniversary,’ and ‘What Alice Forgot,’ – a sort of book-rationing, if you will. But now that I’ve finally got round to Alice, I don’t know how I’ll stop myself from gorging on the other two. ‘What Alice Forgot’ reminds me a little of a favourite (short-lived) TV show from 2007 called ‘Samantha Who?’ which starred Christina Applegate as an amnesia-sufferer who wakes from a coma with no memories of her life, but a sudden realisation that she’s not a very nice person and hated by mostly everyone who knows her … each episode saw Sam gaining back one of her memories, only to realise they further highlight what a bad person she was and reconciling to be a better person post-memory loss. When Alice Love is knocked out during gym class she wakes up in 2008 – but the last memory she has is of being pregnant in 1998. She wakes to discover that her first pregnancy has turned into three children, the husband she adores is currently in the process of divorcing her and she’s drifted so far away from her younger sister that they may as well be living in different countries. Oh Lord. It sounded horrendous. She’d become one of those civic, involved type of people. She was probably really proud and smug; she’d always known she had a tendency towards smugness. She could just imagine herself, swanning about in her beautiful clothes. Running alongside Alice’s third-person story are the first-person therapeutic journal entries of her younger sister, Elisabeth who is slowly getting to the core of a recent meltdown. Elisabeth and her husband Ben have been trying for a baby for seven years – through miscarriages and IVF treatments, Elisabeth has become bitter and depressed and when her sister loses the last ten years of her life, it forced Elisabeth to examine how her own ten years have changed her into someone she doesn’t like very much. I loved Elisabeth’s story – it was heartbreaking and so brutally honest as she pours her heart out about being infertile and feeling like a failure as a woman. I actually would have loved more of Elisabeth’s story – it almost doesn’t make sense running alongside Alice’s, but the two do converge eventually (as all Moriarty’s storylines seem to do) but regardless, I would have loved to spend more time with Elisabeth. Occasionally we also get blog-entries from Elisabeth and Alice’s grandmother Frannie – these are funny asides that don’t take up a lot of page-time (thankfully) but I did end up barely skim-reading towards the end. The ending also felt a little bit rushed to me – I would have liked to spend a little more time with Alice and Elisabeth especially (at least ten more chapters, actually). I think it would have been interesting to dissect the aftermath as much as anything else. I understand that ‘What Alice Forgot’ is in the movie-works (as is ‘The Husband’s Secret’, while ‘Big Little Lies’ has been optioned for a “limited series” penned by David E. Kelley and starring Nicole Kidman & Reese Witherspoon!!). Honestly, much as I love those other two Moriarty books, I think I’m going to look forward to the ‘What Alice Forgot’ adaptation most of all. It raises really interesting questions about family and fragility, motherhood and feminine ideals – the amnesia storyline sounds a little ham-fisted melodramatic, but with Moriarty’s formidable pen she really does turn it into an interesting examination of modern-day life and family.